This body is elected from all UNISON South West Branches and lay structures. It provides leadership across the region on campaigns, organising and bargaining. Its officers are Kevin Judd and Trudie Brailey (Co-Convenors), Debbie Russell (Deputy Convenor) as well as Joanne Kaye (Regional Secretary). 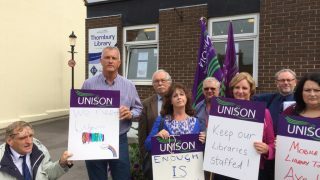 South West Committee meets regularly throughout the year, usually in Taunton or at the same location as Regional Council.